Have You Tried the World's Most Popular Liquor? Baijiu, China’s go-to alcohol, is virtually unknown in the rest of the world. Baijiu, the world’s most consumed liquor, is a social, dinner, and banquet staple in China. Although essentially unavoidable there, few people internationally have ever heard of it. Derek Sandhaus, author of Baijiu: The Essential Guide to Chinese Spirits, and co-founder of baijiu consulting firm Capital Spirits LTD, said there are as many as 7,000 official baijiu distilleries and at least as many unregistered ones. They range in size from private operations with a handful of employees to state-run behemoths. Distilled from sorghum, rice, sticky rice, wheat, corn, or other grains, baijiu is separated into four major categories, which are grouped by fragrance: strong, light, rice, and sauce aromas. Production processes differ with some types fermented in large mud or stone pits in the ground while other varieties are made in jars or clay pots. Baijiu’s alcohol by volume (ABV) levels are often in the 50-60 percent range, higher than whiskey and vodka at 40-45 percent. And while tequila has the worm, baijiu may be prepared with dead snakes, animal phallus, sea creatures, and insects. According to data from the IWSR, the volume of baijiu sold globally, almost all of which is in China, is more than 2.5-times that of the second-largest spirit, vodka. “It is a matter of respect. When someone has a bottle of baijiu on the table you should probably drink it because it’s there for you. It’s a gift and an expression of warmth. So it’s nice to be able to reciprocate and participate in the local drinking ritual,” Sandhaus remarked. For greenhorns who renounce it after one drink, Sandhaus said it is important to remember that baijiu is a catchall term used for alcohol across much of the continent. He said, “You might not like the thing you tried but you have to keep in mind that there’s many different spirits that are called baijiu and that there are thousands of distilleries.” He said different baijiu types exhibit a range of flavors such as rice, soy sauce, tropical fruit likes pineapple and banana, and preserved fruits like apricots or raisins. 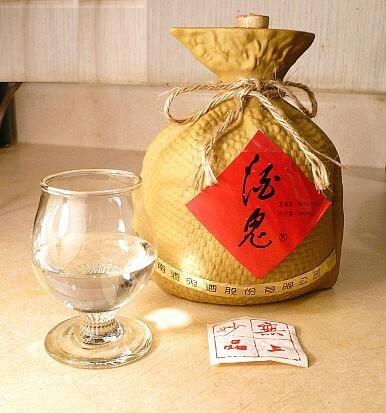 Seeing opportunities, ambitious distributors hope a segment of the international market will take a liking to baijiu. In recent years, companies in the United States, Europe, and Australia have begun marketing the clear liquid, although with lower ABVs to better match consumer preferences and alcoholic beverage regulations. And August 9 was the third annual World Baijiu Day, an initiative aimed at raising the drink’s prominence. “You can either dread it or enjoy it. And I think you’ll be a happier person if you learn how to drink it and don’t live in fear of it,” Sandhaus said. Joshua Bateman is based in Greater China.